There’s a deep irony that as people around the world mark International Youth Day on Aug. 12, hardly any attention will be paid to the shrinking space for young human rights defenders who increasingly find themselves on the receiving end of government repression. Environmental campaigners are urging the Angolan government to halt plans to mine diamonds inside a national reserve that is home to the world’s last wild population of a rare antelope, the Giant Sable. A transboundary initiative aimed at providing clean drinking water and proper sanitation between Angola and Namibia is making steady progress. 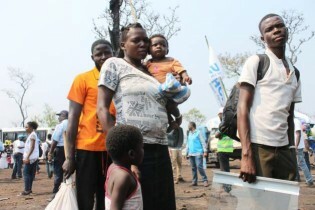 The Angolan government is being urged to carry out a thorough and independent investigation into allegations of sexual and physical abuse by its security forces against Congolese migrants.